In the last few years something people seem to love to do is using their phones to take pictures of themselves in different places and situations. A new word was coined to describe this practice: it is called taking a selfie. We think the ‘selfie’ is something new, but in fact it is not. 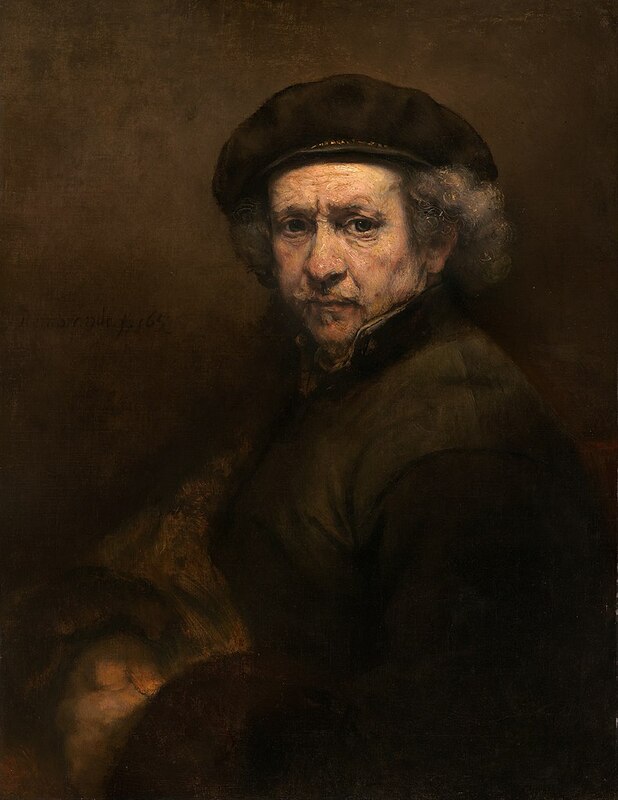 Before the age of mobile phones and modern cameras many famous artists painted self-portraits. One such artist was Vincent Van Gogh, who painted or drew 43 self-portraits during his life. Some people might think that is a bit narcissistic, but for Van Gogh it seems that it was not that at all. I have no real way of knowing, but perhaps he was trying to see himself as others saw him, or simply learn to be a better artist, or maybe he was trying to come to greater self-awareness. Perhaps it was a bit of all these things. It is no secret that Van Gogh suffered emotionally to a great extent; he was a very sensitive man who tried hard to conquer his emotional issues or at least tried to live with them. * In doing so he struggled to understand himself. In a letter to his sister he said: "I am looking for a deeper likeness than that obtained by a photographer." And later to his brother: "People say, and I am willing to believe it, that it is hard to know yourself. But it is not easy to paint yourself, either. The portraits painted by Rembrandt are more than a view of nature, they are more like a revelation.”** (Rembrandt was also a prolific 'selfie' painter.) These letters show that Van Gogh was interested in knowing himself, as well as trying to be a better painter. I do not think Van Gogh, no matter what his troubles were, is alone in wanting to “take a picture” of himself as a way to better know who he was. While most 'selfies' today are not about art and are more about capturing a moment (usually a time of fun), there must be something about self-portraits that is deeper than that which meets the eye. It can appear to be narcissism, (and may indeed be for some folks), but it also can be about a certain kind of memory, and a certain kind of self-awareness that we might be consciously or unconsciously pursuing. There are many forms of the self-portrait: some people may keep written journals or others may collect mementos which are symbolic of their personality. No one would think of this as narcissistic, so I think the 'selfie' is just another expression of this sort of memory making. Keeping memories is also part of the spiritual life. As we attempt to grow in knowledge of God we also grow in an understanding of the truth of who He created us to be as His children. Self-knowledge helps us to grow in freedom, so that we can better serve Him and so that we can love ourselves the way we should. If we do not love ourselves, just as we are, then we will find it more difficult to reach out to others in love and care. As the saying goes, we cannot give away what we do not possess. Additionally, if we do not recognize our own value and worth, we might not be able to take good care of ourselves either. Part of self-care and continued growth in the spiritual life involves discernment. St. Ignatius of Loyola taught that we do not need to discern between good and evil since that is clear: we do good and avoid evil. But in order to discern properly in our day-to-day decisions we need to learn how to prayerfully choose between two things that seem good. Often we get caught in dilemmas because of this. We want to help someone, for example, who is not really able to be helped because the person is not ready to accept it. Or we feel like we should be doing more service in an already busy life, so we pile it on only to find ourselves burning out, and then wonder why our prayer life feels flat. Or worse still, we begin to resent those around us for whom we are responsible simply because we are over extended. Discernment means that we are continually taking our own pulse spiritually, while also being conscious of that which God is calling us to do. It means that we examine ourselves interiorly on a daily basis in order to be aware of what brings us closer to God and what moves us away from God. Too much of a good thing can be bad for us, so if we are piling on too much service or a type of service for which we are not really suited or called to do, then we can find that we drift away from God rather than move toward Him. The way we can see if this is taking place is to observe our own behaviors, feelings, and thoughts as we contemplate doing something, or look back at what we have done recently to see if we are on the right track. The Examen that St. Ignatius of Loyola teaches in the Spiritual Exercises is a great way to take this pulse. The Examen is designed to help us see what is leading us to God or what is not. At the end of the day we can review what took place and how we responded to the movements of the Spirit. There are many ways to do this, but I like the simplest. First, we can recall all the good things we did and all the graces to which we responded during the day. We thank God the Father for these things. Next, we look at all the ways we did not respond to grace throughout the day, or ways we failed through sin, and we ask the Son, Jesus, for forgiveness of all these missed opportunities. Finally we ask the Holy Spirit for the grace to do better in whatever areas of weakness we noticed in order to grow in self-awareness and in holiness. This process should only take a few minutes, and each section is equally important. If we do this on a daily basis, we can recognize our patterns and grow stronger through God's grace in the areas of weakness while having gratitude for the strengths we already have. It is a type of daily 'selfie' which is really not about the self alone, but about the self in God. Another way that is good for growing in the spiritual life is keeping a journal. Sometimes there is a lesson learned or an insight gained that is important to remember. If we write it down, we can not only remember it, but when we look back at a later date, we can see from whence we have come. Looking back at our growth is a way to continue on the path to inner freedom and holiness. I do not journal every day, as some do, but I try to write only when something significant has taken place in my prayer or if an important insight or lesson has been given me through grace. Of course, spiritual direction can also be of help in coming to understand how God is working in one’s life and to have guidance with that which is happening. A good spiritual director can help us to learn what God is calling us to do and can challenge us when we are inadvertently listening to the impulses that lead us away from God, even if well intentioned. Whatever it is we do, whether journaling, praying the Examen, or painting self-portraits, these spiritual ‘selfies’ are important inner work which help us to understand what it is God is calling us to do and who we are before God. When we are coming to a better understanding of self, we are growing in interior freedom. And if we are growing in interior freedom we will be more loving in all our decision making, service, relationships and in that which challenges us. The lens through which we look is love and what Jesus teaches us to do in the Gospels. We can only learn to do this effectively if we continually look to Him to show us the truth of our inner selves and see that which is strength and that which needs healing and purifying. Let us continue to take our spiritual ‘selfies,’ whether it is through writing, reflection, poetry, or art, all done in the context of prayer. It is important to know where we have been and who we are, in order to know how to proceed on the path to holiness, not for self-satisfaction, but to glorify the Lord. May we be strengthened by our attempts to come to know the truth of who we are before God! May we be healed of that which keeps us from being the person we were made to be! May we remember the lessons learned on our path to holiness through our efforts to discern the road we are on! May we be empowered by our efforts at self-knowledge and may we be led to greater freedom! And may we use our freedom to love God by loving others as He would have us do! Let us meet in the Heart of Jesus where all Truth resides! Peace! The first picture, a self portrait of Van Gogh comes from the first website cited above. Michelle, thank you for your insights into discernment which are so helpful during my 19th annotation. I am making copy of it to place with other writings on discernment. Thank you again for all the work you do and I hope you will feel well again soon. Very nice collection of thoughts on discernment...and did you know that VVG is one of my favorite painters? Thank you both! Dwight, I did not know VVG was one of your favorites. I, too, really love his work! Elise, I am feeling better. Thank you for the well wishes and prayer.